Toy Story That Time Forgot DVD and Blu-ray release date was set for November 3, 2015. Woody, Buzz, Trixie the Triceratops, and the other toys go off with Bonnie to a play date with her friend Mason. Once at Mason's house, the kids become engrossed in a new video game system and the toys are thrown into Mason's bedroom. That's where Woody and friends discover a line of new toys called the Battlesaurs. 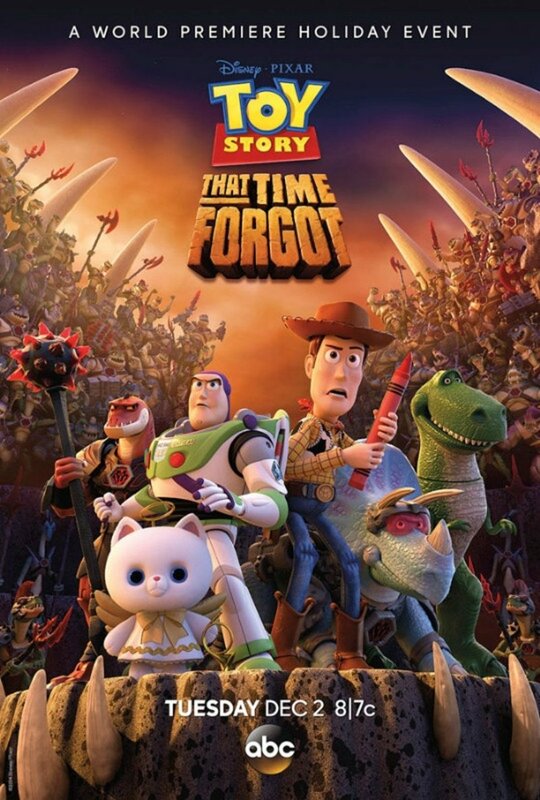 The play date turns into a nightmare when the Battlesaurs put Woody, Buzz, and the other toys into an arena where they must fight for their lives. It's up to Trixie to find a way to save her friends.